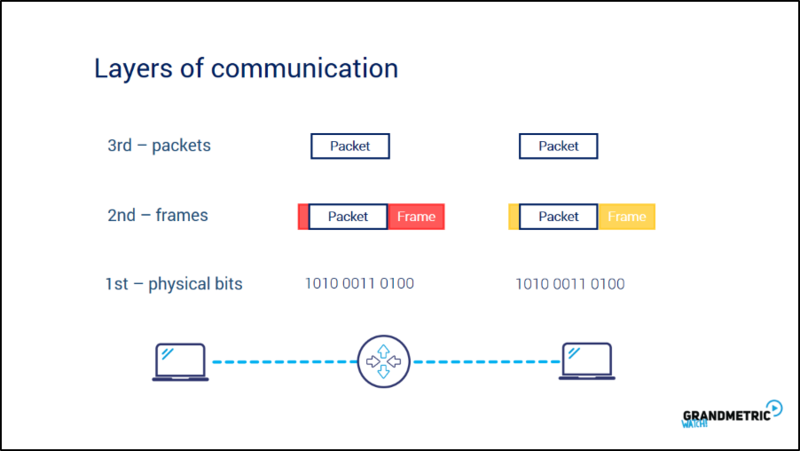 As you remember from Bits, Frames & Packets course, we might already see some relation that there are layers of communication that can be defined. We remember that bits are serialized by interface and send to the medium link as an physical voltage levels , pulsing light or EM frequency change. We know that those bits are imterpreted by devices and form the frames and frames are strictly related to medium type like copper Ethernet cable or wireless access. We also know that frames encapsulate the packets that are transported from source to destination. All this make some logic similar to layers and that each layer can be understood individually. You can think of layers like toll building. Each floor is a layer. For human only the highest floor is visible, but for devices all layers are important. Imagine yourself looking at the toll building. Mike on the left writes Hello message to Alice in application like Skype. Application needs to know that to send such message it has to partition the message to chunks of data called segments and then pack them into packets. In turn computer sends the packets via network interface like wired Ethernet cable. So as we know from latest course interface encapsulates the packet with frame and serialize the bits as physical impulses on the wire. 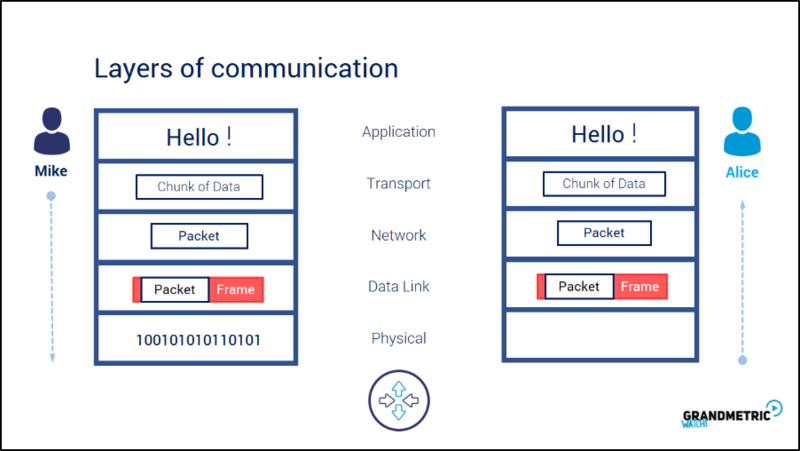 On the receiver side the logic is oposite: bits from the wire are interpreted by network interface card and thanks to frame fields packet is decapsulated and forwaded up to application layer meaning for example Skype and Alice sess human readable Hello from Mike. Lets stick with layer model for a while. Different Communication Protocols operate at different defined communication layers. Protocols are the suite of common methods, signalling messages that can be understood and agreed between the parties. Each protocol is strictly related to particular communication layer. 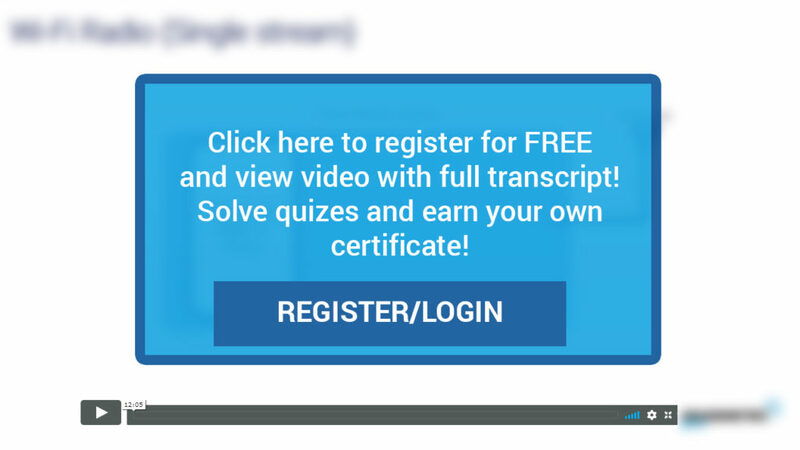 For example every application like skype or browser traffic understand common suite of messaging to transfer data. 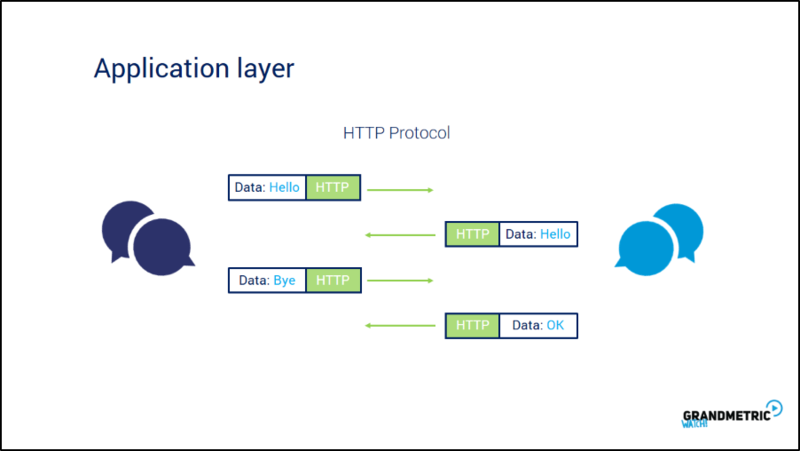 So for application layer HTTP is the most common protocol in the Internet and for end point applications this transfer is done directly with HTTP messaging. To send human readable text to the receiving party, first – application needs to instruct communication stack to segment the message. 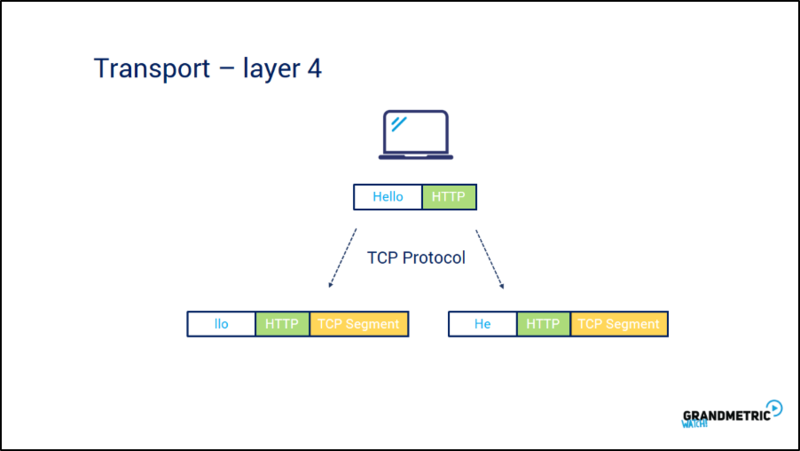 These segments are controlled by Transmission Control Protocol – TCP in Transport Layer – layer 4. 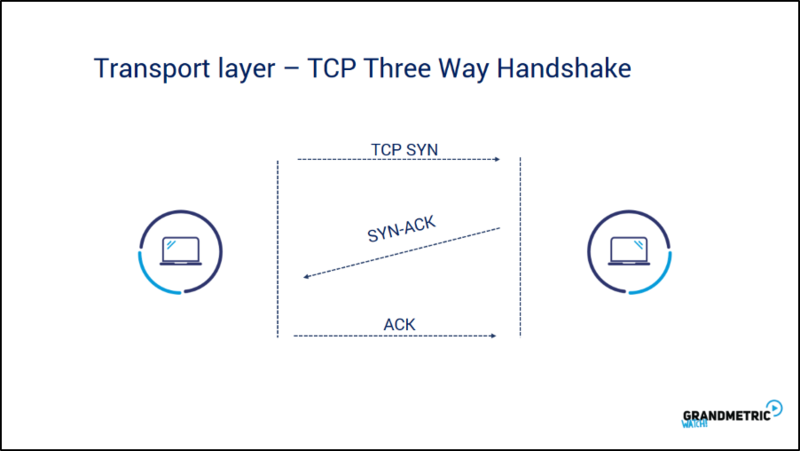 There are two common Layer 4 protocols: TCP and UDP. Transmission control protocol is Used with applications that needs data delivery assurance. This includes for example browsing or file transfers. 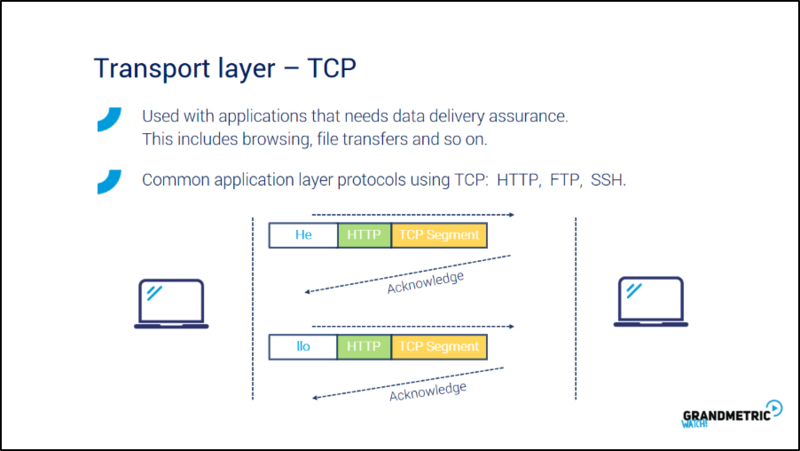 Common application layer protocols that use TCP as transport are Hyper text trasfer protocol, file transfer protocol or secure shell protocol. Communication in TCP assumes acknowleding each delivered segment by receiver. If segment is not acknowledged by receiver it is resend by sender. 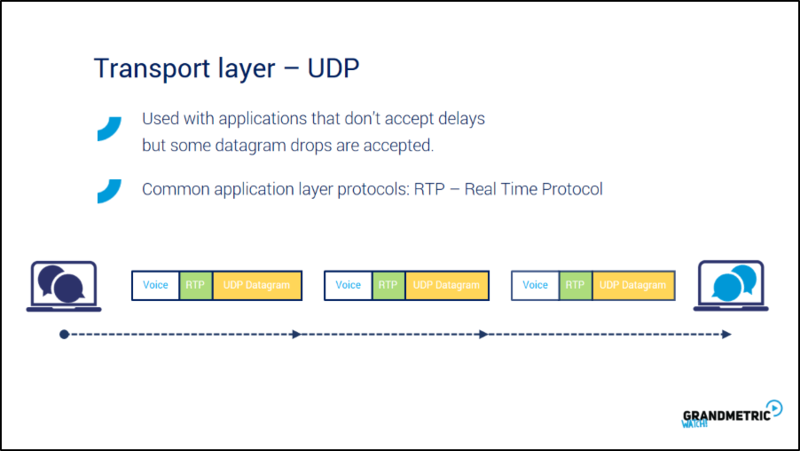 User Datagram Protocol or UDP is Used with applications that need no delays but datagram drops are accepted. This includes real time apps like wideo or voice streams. Common protocols that use UDP is Real Time Protocol used for Voice over IP communcation. UDP datagrams are sent one after the other withour acknowledgements. 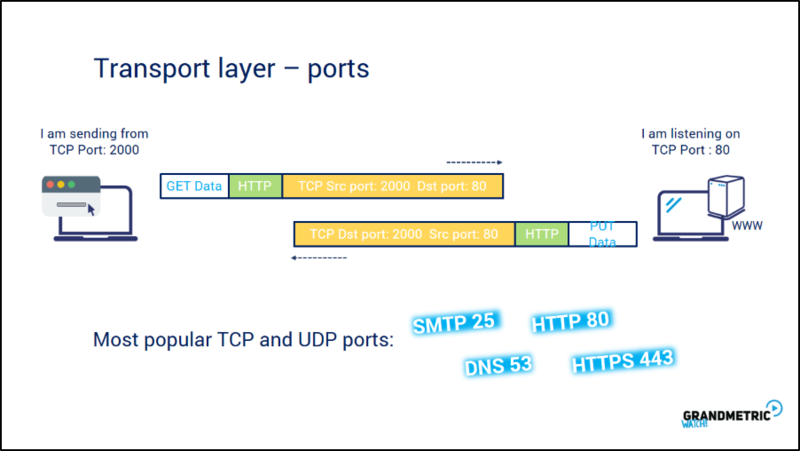 During communication in transport layer, the most important infomration is on which port number particular application listens for a information. This is common for both TCP and UDP protocols. Port numbers are used on both sides : sender and receiver. 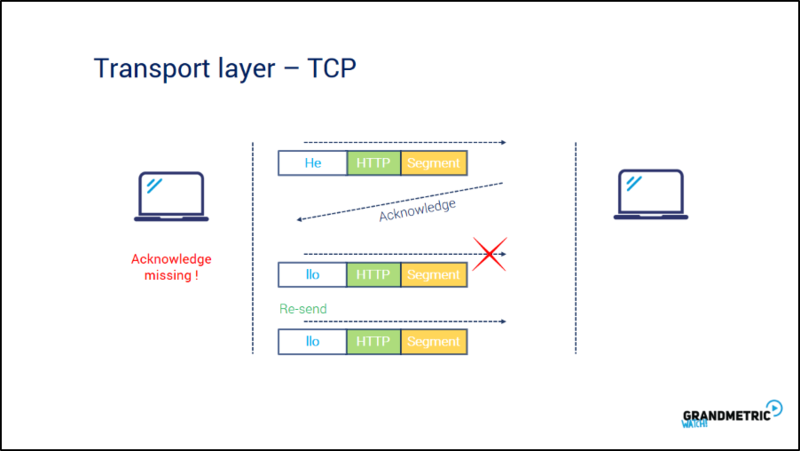 To make connection possible sender sends the TCP segment sourcing it from particular port and uses destination port od receiver. Of course as we already now to get to the receiver sender needs to know also IP address. Of receiver, but IP is the subject of network layer.